The horror icon directed and scored Halloween (1978) and returned to rework his original tense theme for the new Halloween film this year, having avoided many of the sequels to the 1978 classic. Halloween director David Gordon Green has expressed interest in bringing back the Ghoulies and Critters franchises. After the success of making a direct sequel to John Carpenter's horror classic, Green will probably have a shot at bringing some other 1980s horror movie back to the big screen as well. Nightflyers, the new Syfy show based on a 1980 novella by Game Of Thrones author George R.R. Martin, attempts to locate the ghostly scares in the machine, and while it serves up cool imagery and compelling performances, the show is lacking in execution. It’s never boring, but it struggles to rise above the uneven handling of the material. The new Candyman is being billed as a “spiritual sequel” to the original and returns to the neighborhood where the legend began: the now-gentrified section of Chicago where the Cabrini-Green housing projects once stood. 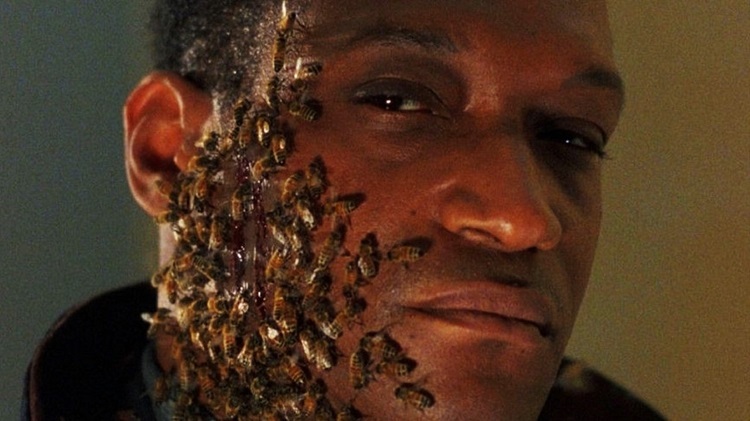 Tony Todd originated the role of Candyman aka Daniel Robitaille, an urban legend who is summoned to kill when his name is said five times by a person facing a mirror. Is there Really a JACOB’S LADDER Remake Hitting Theaters on February 1st? We’ve heard nothing about the film’s production; nada. It’s also a mere 68-days until the remake’s stated release date, and we haven’t seen a poster, an official synopsis, and we most certainly haven’t seen a trailer. The film does appear on LD Entertainment’s list of upcoming releases but doesn’t include a release date. I’ve personally put in a call to the folks at LD and will keep you apprised on their response (if they do, in fact, respond that is). TERRIFIED (ATERRADOS): Guillermo del Toro to Produce Argentine Remake of Paranormal Shocker? Wow. This is a hell of a scoop. We have just gotten word out of Argentina that Fox will announce that Guillermo Del Toro is in talks to produce a English language remake of Demian Rugna's tremendously entertaining paranormal shocker Terrified (Aterrados). Good news for our friend Rugna is that he will be returning to the director's chair to remake his own film. Christmas is a time of peace, love and family. But not for Norway as a psychopath dressed in a Santa Claus suit has been terrorizing them for the past 13 years. For as soon as the caroling starts, this demented Kris Kringle dispenses bloody ax blows regardless of whether you've been bad or good. As the holiday approaches on one snow-covered town filled with revelers, a pair of detectives work against time to find and arrest this bearded serial killer. Will they manage to stop this demented St. Nick before he kills again. An awkward date on Christmas Eve leads a couple into a strange theater, where they're treated to a bizarre and frightening collection of Christmas stories, featuring a wide ensemble of characters doing their best to avoid the horrors of the holidays. From boring office parties and last-minute shopping, to vengeful stalkers and immortal demons, there's plenty out there to fear this holiday season. When a young nun at a cloistered abbey in Romania takes her own life, a priest with a haunted past and a novitiate on the threshold of her final vows are sent by the Vatican to investigate. Together they uncover the order’s unholy secret. Risking not only their lives but their faith and their very souls, they confront a malevolent force in the form of the same demonic nun that first terrorized audiences in "The Conjuring 2" as the abbey becomes a horrific battleground between the living and the damned. As states last week, we only had a few upcoming horror films to hit the silver screen for this week. Those being Anna and the Apocalypse and The Possession of Hannah Grace. Starting with Anna, who was only able to premiere in five cinema’s but has had a fairly successful run considering it’s minute distribution bringing in $52 thousand dollars and placing 32nd on the box office listings. Hannah Grace on the other hand has fared slightly better with an opening weekend take of $6.5 million dollars through just over 2000 theaters and hitting the 7th spot in the rankings. Considering these are the last theatrical horror films out this season, we can just take them for this week and afterwards, we can all begin to look back on this last year of amazing horror we’ve had. A young woman learns that dying over and over again was surprisingly easier than the dangers that lie ahead. A camp counselor suffering from memory loss finds himself in the middle of a horror movie massacre. In the Thirteenth century, a group of Satan worshipers, the Knight Templars, is captured during a ritual and brutally murdered by the locals. Just before the execution, the Knights swear to return from their graves to haunt the village and the nearby forest. Centuries later, in a post-apocalyptic future, a man and his daughter try to survive against both the Undead Knights and a sect commanded by a mad preacher. This week on Beyond The Void Horror Podcast This week we make your skin crawl bad. So bad it might just crawl off. We picked two movies with flesh eating bugs for a gore filled and laugh filled episode. Ticks (1993) & The Nest (1988). Check it out! 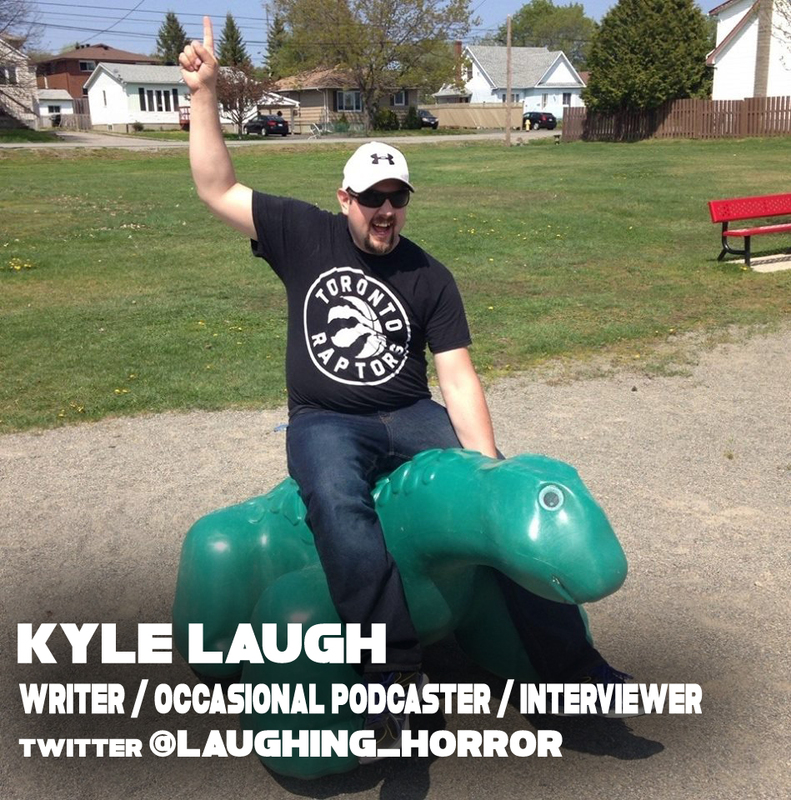 You can listen here or you can Listen/Subscribe on iTunes here!